FILE - A May 2012 photo shows a young South Sudanese soldier who appeared to be drunk reaching for a lighter for his cigarette at the Sudan People's Liberation Army (SPLA) headquarters in Bentiu, Unity State. The U.N. Children’s Fund reports the warring parties in South Sudan have recruited more than 12,000 child soldiers. UNICEF said boys in many areas of conflict are being rounded up and sent to the frontline to fight. 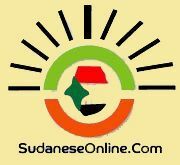 The U.N. agency had said that the Sudan Peoples’ Liberation Army did a good job in demobilizing child soldiers after Sudan’s long-running civil war ended in 2005. But now, UNICEF representative in South Sudan, Jonathan Veitch, said factional fighting in the young nation of South Sudan has triggered a big increase in recruitment by both government and rebel forces. UNICEF reports the situation is particularly acute in the conflict states of Upper Nile and Unity, where hundreds of children have been taken. The agency said it has received credible reports that an unknown number of the children have been sent to the frontline. Veitch said the recruitment of children for fighting is a grave violation of child rights. He said children forced to fight suffer long-term physical and psychological damage. He said it also has a terrible impact on their families and communities. The UNICEF representative told VOA that international law defines the recruitment of children under the age of 15 as a war crime. He said "there is evidence of forced coercive recruitment of children under the age of 15" and that "that would be deemed to be a war crime." Veitch said both sides have made commitments several times over and have broken them as well. That South Sudan is very big, he added, is problematic because command and control of forces is very weak. So, even if there is a commitment at the central level to stop child recruitment, Veitch said local commanders are likely to do the opposite.